Autonomy is definitely the flavour of the month. As I write, preparations are well underway for next week’s Realizing Autonomy conference in Nagoya, Japan, which, in turn, celebrates the imminent launch of the collection of papers of the same name, edited by Kay Irie and Alison Stewart (and featuring a chapter by me, as it happens). Also, shortly to be published in the IATEFL Learner Autonomy SIG Newsletter is a joint interview with me and Luke Meddings that arose out of the Teaching Unplugged conference in Barcelona in May, and which draws links between Dogme and the learner autonomy movement. And, on top of this, plans are being finalised for my participation in the Learner Autonomy SIG pre-conference event at the IATEFL Conference in Glasgow next March. That’s a lot of autonomy for one week! But what I want to talk about here is not learner autonomy so much as teacher autonomy. This was triggered by a lively discussion on the Dogme ELT discussion list last week, about the plausibility of such a thing as a ‘Dogme coursebook’. This in turn precipitated a number of posts attacking coursebooks in general, and, by association, coursebook writers. Uncharacteristically, perhaps, I felt obliged to rally to their defense. 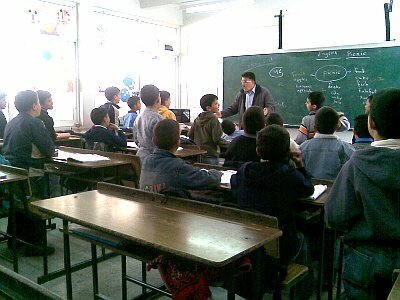 Based on my experience observing classes in a number of developing world contexts, such as Palestine, I argued that, due to a lack of training and support, as well as uncertainty about their own English language skills, coupled with learner and other stakeholder expectations about the role of the teacher, “many teachers feel insecure and disempowered.” For teachers such as these, the coursebook is their lifeline. To suggest that they should abandon coursebooks and engage with the language that emerges from the socializing and communicative needs of “the people in the room” is simply disingenuous. A similar argument was made my Ramin Akbari (2008) in a TESOL Quarterly article a short while back, where he argued (with particular reference to the Iranian context, but his argument could apply in any public sector context): “Teachers in many contexts are not different from factory workers in terms of their working hours; in many countries, a typical language teacher works for 8 hours per day, 5 or even 6 days per week… The financial and occupational constraints they work within do not leave them with the time or the willingness to act as iconoclasts and social transformers, roles that will jeopardise their often precarious means of subsistence” (p.646). In my post to the Dogme list, I suggested that a parallel could be drawn with Abraham Maslow’s (1970) ‘hierarchy of needs’. If you recall, at the bottom of the ‘needs pyramid’ are the basic survival necessities such as food and shelter. A person cannot attend to higher needs until these basic needs have been met. Higher up in the pyramid figure community needs (‘a sense of belonging’) and still higher are self-esteem needs and finally ‘self-actualisation’ . But, at all levels, satisfying one’s needs presupposes that the lower level needs have first been met. Using this analogy, I argued that teachers, too, need to satisfy lower level needs (such as simply controlling the class) before they can ‘graduate’ to a point where they are less dependent on coursebooks, for example, and better equipped to centre their teaching on the learners (and that’s where the notion of autonomy comes in). “We could argue,” (I wrote), “that dogme is what every teacher might (even should) aspire to, but, achieving this ‘state of grace’ means satisfying – and then outgrowing – the lower level needs first. In some contexts (e.g. small private language schools on the south coast of England) one might hope that this developmental trajectory would be fairly rapid and relatively painless. In others it might take generations”. This is not to say that a Dogme-style approach to teaching is necessarily ‘late-acquired’, i.e. a prerogative of only very experienced teachers – just that it assumes a certain degree of freedom in the way one operates professionally, coupled with a lack of insecurity at the most basic levels. How, then, can insecurity be reduced and autonomy leveraged, even in difficult circumstances? Serendipitously, in this same week a colleague sent me an article in which he argues for the ‘collaborative nature’ of teacher autonomy (Ding 2009), and adds that “there is a significant body of research examining the potential of technology and in particular ACMC [asynchronous computer mediated communication] to facilitate collaboration and autonomy” (p. 67). Put simply, this means that online communities of teachers can (theoretically, at least) provide the necessary support and motivation to help outgrow lower level insecurities, and achieve a measure of professional self-actualisation. It just happens that the provision of this kind of collaborative online environment for professional development (and here comes a shameless plug) is one of the goals of the International Teacher Development Institute (iTDi), of which, proudly, I am the academic director, and which launches very shortly. You can read more about it here. Akbari, R. 2008. Postmethod discourse and practice. TESOL Quarterly, 42/4. Ding, A. 2009. Tensions and struggles in fostering collaborative teacher autonomy online. 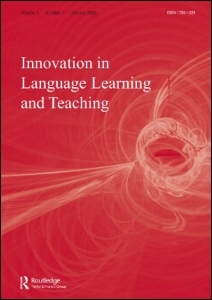 Innovation in Language Learning and Teaching, 3:1,65 — 81. Irie, K, & Stewart, A (eds.). 2011. 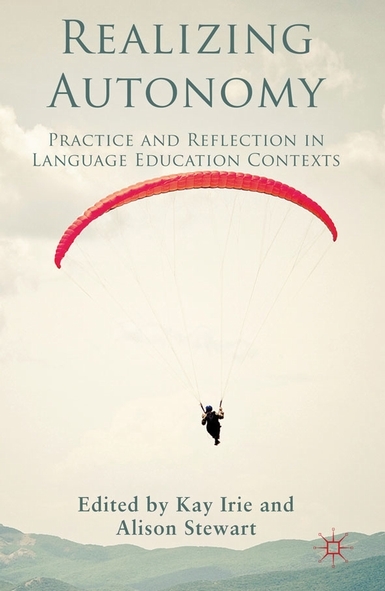 Realizing Autonomy: Practice and Reflection in Language Education Contexts. Houndmills: Palgrave Macmillan. Maslow, A.H. 1970. Motivation and Personality (2nd edition). New York: Harper & Row. Good luck with the ITDI, Scott. Scott, as you know, I was involved in the discussion with the Dogme list. It was the first occasion I engaged with the group, even though I’ve lurked for two years. I was grateful for your intervention. I hesitate to open this discussion again, but there were a number of noteworthy aspects of the online discussion. The first was that someone suggested the idea of Dogme coursebook, which prompted my own intervention and which for me and for many of the participants in the discussion, appears ‘perverse’ (not only me who used this word). Nevertheless, we discussed it seriously and at some length for five days. The second was not that coursebooks, coursebook writers and publishers were under attack – and to be fair, on this occasion I felt it was only one correspondent who was more obviously critical of our work. It was the assumption that I must have been dissatisfied with at least some of the books I’ve published and that I must have been constrained by my editors to produce something which would sell. I’m not constrained, and have never been. I believe those books were appropriate for the brief I was given, and as a professional, I used my experience to write for the brief. Why should I feel ashamed for selling out? I don’t because I didn’t. I’m used to this sort of assumption, but I’m still going to challenge it. The third was your own summary of views about the role of textbooks, expressed both above and during the online discussion. As I mentioned, I really couldn’t have put it better myself. Many teachers need or appreciate the help of coursebooks for the reasons you state. Others will be grateful for a materials-lite approach. My guess is that most will come somewhere in between, and make pragmatic and not dogmatic choices which are appropriate for each class. Like you, I’m uncomfortable with the assumption that teachers who use coursebooks should feel they somehow have to aspire to a dogme state of grace. Fortunately, the online discussion died away in a climate of reason, which was due in no small measure to your intervention. Thanks. Thanks, Simon, for providing that measured account of the background to this discussion. At the risk of inflaming it again, while I agree that most teachers will make pragmatic choices as to how much material to ‘import’ into their classes, I do think that there are many other teachers who are shackled to coursebooks (and coursebook based curricula) – not because they need them, but more because they have never considered the alternatives. For these teachers coursebooks are an unchallenged fact of classroom life. The iTDi sounds really promising! I can’t wait for it to launch! I agree it’s difficult to work on TD on your own (hence the usefulness of collaborative networks -sometimes it is more difficult to work with your own colleagues than with colleagues from other contexts). I also think a bottom-up approach to development yields more results than a top-down one. It is here that autonomy is essential. I’ve been using the European Portfolio for Student Teachers of Languages (http://archive.ecml.at/mtp2/publications/C3_Epostl_E_internet.pdf) to that end and I have found it helpful. Thanks, Miguel, and thanks for that link to European Portfolio for Student Teachers of Languages, which I’m ashamed to say I wasn’t aware of. (Apart form anything esle, it will be extremely useful in helping shape the learning objectives of the iTDi). I was intrigued, though, to see that – in the section on using materials – the portfolio takes for granted that coursebooks not only exist but are the ‘default’ materials in the typical classroom, and hence the starting point for lesson planning. There is no can-do statement of the type “I can plan lessons based on the learners’ needs and interests”, or “I can plan lessons using minimal material for maximum effect”, although there is one that goes “I can involve learners in lesson planning”. Moreover, to their credit, the authors warn that “following a textbook is usually not sufficient since textbooks only represent the author’s interpretation of the curriculum and rarely take individual learners into consideration” (p. 33). But thanks once again – I’m going to take a closer look at this. I really think you’ve hit the nail on the head in bringing in Maslow’s ‘hierarchy of needs’ to support your argument. Teachers in many contexts surely do suffer from being anchored at the lower end of this and the daily reality for many is simply too demanding (and too often stressful), especially for the novice, to be able to entertain relinquishing the support of the coursebook. If you’re being paid a pittance and only for contact hours while battling to get to lessons on crowded buses in an unfamiliar city. Surely this, and other equally CPD prohibiting, kinds of scenario are the norm for many, And, as you say, that’s before getting anywhere near the classroom. Agreed, Tony. Ironically, though, it’s the day that you accidentally leave the coursebook on the bus when you suddenly discover the unbearable lightness of being! Learning to do without – even in difficult circumstances – can be quite liberating! Congratulations on iTDi, Scott! Exciting news! Teacher development is one of the most crucial aspects of educational reform and is often overlooked in favor of investments in curriculum, technology and other institutional concerns (at least this is true in the States). Teacher’s needs are all to often neglected and blame is an easy buck to pass to someone in this profession. On the issue of Dogme, I would certainly argue that dogme is a tool for the autonomous teacher. Had I rejected the course books or scoffed the meticulously pedantic lesson plans the DELTA made me do early on in my development in favor of such a persuasively romantic and rebellious approach that Dogme is, I believe I would have failed miserably. All of my efforts to understand the course book’s ways, to devise hair-splittingly detailed lesson plans and to reflect on the results and consequences of my beliefs and decision making in the classroom are exactly what gave me the clarity and sustained concentration I needed to embrace/pull off a dogmetic approach appropriately (i.e. with respect to the needs of all educational stakeholders). That being said, I’ve always thought that a dogme course book would require a rather LARGE teacher’s manual and DVD companion with lots of classroom footage….hint, hint. Thanks very much for your comment, Delpha. As I read it (and other comments above) more closely I find I am in two minds as to whether ‘dogme’ is the result of having become autonomous, or the key that unlocks the autonomy door (see the note to Tony above, about the liberating effect of losing your coursebook!). That is to say, can freeing yourself of a dependence on materials actually leverage the transition from one step on the pyramid to the next? I think you’ve hit a very important nail on the head there Scott. Teacher autonomy and TD really go hand in hand. I’d love to work somewhere where I was supported, encouraged and rewarded for putting in effort and innovating classes and my teaching. I guess a lot of us are tackling the ground level of Maslow’s pyramid in that we’re making sure we can pay rent and buy food which involves doing what we’re told to do. This may be textbook or photocopy-based. Mentioning ‘Dogme’ could raise eyebrows amongst the older generations trained in grammar translation, especially if you mention ‘materials light’. My old boss used to burst a blood vessel if you didn’t use every single handout/worksheet. To go back to the work scenario. My dream would be a school that has a TD ethos of training, support for course development and is open to suggestions for course changes or new ones. Schools are only as good as their teachers and they’ll only stay if they develop and improve (salaries too). Giving them more supported autonomy to develop and then rewarding it sounds good to me. Thanks, Phil. Yes, “teacher autonomy and TD really go hand in hand” – and part of teacher development, surely, is helping teachers realise that there is life beyond the handout! Which raises the question (again – see some on my responses to comments above) as to whether teachers cling to their coursebooks not only because their institutions require them to, but because they’ve never considered the alternatives. Hi Scott and thanks for the post. Best of luck with iTDi! I just wanted to mention that I’d love to get a look at a “teacher’s hierarchy of needs” someday. Have you produced anything like that or is there anything in the works? I thought it was a fascinating consideration and the comments related to it on this blog post struck a cord with me. Thanks for your comment, Zahid. To be honest, I used the ‘hierarchy of needs’ pyramid as an analogy – basically it’s a theory of motivation, and I’m not even sure that Maslow has much currency in psychology nowadays. But there is a long history of research in mainstream education that attests to the fact that teachers typically follow developmental trajectories that map on to a “lower-level-first-then-higher-level” model. Their initial preoccupations tend to be with survival, with maintaining credibility, and not losing face; then they are concerned with materials, techniques and technologies, and finally they ‘graduate’ to a concern for their students and their learning outcomes. Or, rather, having transcended lower level concerns, they are freed to give the learners the attention they might initially have wanted to, but were incapable of. While I have 4 or 5 classes where I am free to do “pure” dogme, I also teach at a higher education institution where I teach students on a BA degree. Here, the opportunity for “teacher autonomy” is not great to say the least. Prescribed coursebooks, Grammar McNuggets, precise week-by-week syllabuses etc. are all the order of the day. The idea of convincing the language department to “go complete dogme” is out of the question owing to factors such as accreditation, professional accountability, as well as cultural expectations of what learning ought to look like in higher education institutions (though I have delivered TD sessions of dogme in the hope of heralding some small change!). Anyway, I’ve become interested in the idea of “doing dogme by stealth”, so to speak, trying to to incorporate “dogme moments” into lessons wherever possible – seizing every available opportunity to teach at the point of need, re-mixing the coursebook to make it the starting point for emergent language (rather than the end point by which progress is measured), maximising learning through meaningful conversation, trying to get learners to take ownership of the discourse, and attempting to subvert the obligatory Grammar McNuggets sections. It’s not dogme proper, but I’m working with what I’ve got. Is it a fool’s errand, do you think? “Working with what you’ve got” – I think that could be a definition of good practice – in anything, including teaching. And I like the idea of ‘doing dogme by stealth’ – sort of ‘ninja dogme’. As one of the teachers near the base of Maslow’s hierarchy, I found this post particularly interesting. I find that the biggest hurdle for myself has been anxiety about uncertainty. Both in the classroom and beyond. If I stray too far from the book, will I still be serving the needs (real and perceived) of my students? If I go out on a limb, will there be professional ramifications that might affect my ability to provide income for my family (could I lose my job over this)? I’m not sure either how much “currency” is in Maslow these days, but Robert Kegan has written some interesting books about emotional/ intellectual development. One of his older books “The Evolving Self” has considerable reference to Maslow. His more recent work, “Immunity to Change” has some interesting ideas on both how we resist new ideas and how to overcome the resistance. Maybe it’s a little too “self-help” in style, but he’s pretty well established in the Adult Education field. I look forward to the opening of iTDi! It could be said that Maslow’s hierarchy is a pyramid scheme for the soul. Developmental psychology appeals to many in education with its linearity and heroic trajectory; all those neat growth metaphors and such. Not really what Dogme’s after I should hope. Shulman, L.S. (2004) The Wisdom of Practice: Essays in Teaching, Learning, and Learning to Teach. San Francisco: Jossey-Bass, p. 331. The more I read this, the less I understand what you are trying to say. What is wrong with developmental psychology, as compared to any other descriptive science? I’m not clear what you mean by the terms “pyramid scheme for the soul”, “linearity”, “heroic trajectory”, “neat growth metaphors”, nor am I clear what you think Dogme should be after in opposition to those ideas. In my opinion, Maslow has a number of good ideas, developmental psychology is useful, though not prescriptive, for any educator trying to understand their students, and “many in education” are doing a service to their students by collecting insights from a variety of sources. What is wrong with developmental psychology, as compared to any other descriptive science? *I don’t believe I said anything was wrong with developmental psychology as compared to any other descriptive science. …”linearity”… *Despite Western civilizations penchant for all things square and straight, less rigid worldviews suggest that our lives do not inherently move from left to right, from lower to upper, aka ‘heroic trajectory’ – onward and upward. Our worldview is based upon a heroic mythology (cf, Joseph Campbell, Carl Jung, James Hillman, among others) that has its shadow to bear. There are other narratives by which we can live our lives, other ways of being in the world. As you say, Nick, why not collect insights from a variety of sources? *As for “neat growth metaphors”, developmental psychology, commonly implies humans ‘grow’ according to patterns and schemata that tend to be rather neatly divided into stages (eg, Piaget) and similar tidy boxes. Life is messier than that, I believe, after living a while and collecting stories from others. Plus, this more scientific psychology is strongly influenced by behaviorism, which leaves little room for mythology, narrative, and imagination – all powerful tools for understanding the human psyche. Developmental psychology is also stuck in the tired old nature vs, nurture debate, which James Hillman brilliantly puts to rest with his ‘acorn theory’ in The Soul’s Code. …nor am I clear what you think Dogme should be after in opposition to those ideas. *Again, I don’t remember writing anything other than I hope Dogme’s not after those ideas above, so it’s not surprising you’re unclear about that. So no need to oppose Dogme to anything at the moment. Thanks for your query, Nick. I’d be happy to discuss this further if you like. “The concept that autonomy is at the core of motivation to learn is also central to Deci and Ryan’s (1985) influential ‘self-determination’ theory, according to which the need for autonomy (i.e., the desire to be self-initiating and to regulate one’s actions) is an innate human need. Some sense of autonomy is seen as a pre-requisite for any behaviour to be intrinsically rewarding. Cooperative learning can provide a learning environment that fully supports student autonomy and self-determination… ‘The specific supports for self-determination we suggest include offering choice, minimising controls, acknowledging feelings and making available information that is needed for decision-making and for performing the target task'”. The same environmental supports, one would suppose, apply equally to teacher autonomy, and suggest a useful framework for teacher education. Ref: Ehrman, M. & Dörnyei, Z. 1998. Interpersonal dynamics in second language education: the visible and invisible classroom. London: Sage. The studies you cite were part of my work on the Aston MSc TESOL program. Maybe someone has written, or should write, a book on Teacher Autonomy along the lines of Motivational Strategies in the Language Classroom (Dörnyei, Z. 2001) that allows teachers to pick and choose topics and areas relevant to their unique contexts, interests, and needs. I love how Dörnyei recommends, in the Introduction to the book, that readers should start reading at the end, the Conclusion and work backwards from there. Fair enough. There’s a lot to chew on in that, and it clarified most of my questions. I have a lot of respect for what Maslow was trying to do back in the ’60s, and I initially read your comment as being dismissive of that. I think I conflated your term “pyramid scheme” with the term “Ponzi scheme” which has been used derisively in politics recently. Your criticisms are fair ones. If memory serves me, Gilligan attacked Maslow and Kohlberg as being male-centered in their values, and I’m sure there are other deeper criticisms to be made. Maslow was a product of his time. Psychology, like any science to my mind, runs the danger of becoming prescriptive rather than descriptive. And I would say that danger is more pronounced when dealing with the human soul. Having said that, I have read a number of books where I felt the author was genuinely trying to come to grips with the peculiarities of the human condition. Mr. Thornbury’s initial post really resonated with me because I can feel my own concerns with “safety and security” coming in conflict with my higher (hmm.. maybe I am prone to “pyramid” mentality…) needs to reconcile my job with my underlying values. It was easier to “stand on principle” before I had a family to provide for. I imagine if that is the case for me, it is more so for someone not living in a stable environment who is not teaching their native language. On a closing note, I have to say that it’s really reassuring to see a blog entry that takes into account the development process of the entry level teacher. Education is a noble field, but ultimately, the starting teacher has the same “affective filters” as their students. It’s really hard feeling like there’s a right answer out there that I’m not picking up quickly. It’s nice to see people looking at the human condition of being a teacher. Thanks again for the well delivered reply. I’ll have to take a little time to digest it. I suppose it’s early morning where you are? I’m about to turn in for the night, but I just want to add that I can sympathize with having someone we admire criticized. I also understand that it’s easy (for me) to take the resources and training I have at my disposal for granted despite my good intentions. I agree that an examination of the human condition and our place in it as teachers is important. My comments are always tangential – so apologies in advance – I tend to comment on what has inspired me to write. I have been thinking about the relationships between dogme and teacher autonomy and the connections between them. I don’t think it is very evident always. 4)	Autonomous professional development (self-directed professional development, capacity for self-directed professional development, freedom from control over professional development). So, where does dogme fit, if at all, into teacher autonomy? I suspect that dogme is just one possible manifestation of teachers’ desire to develop and act autonomously. I also suspect that teacher autonomy provides an overall framework in which dogme is subordinate to it. I also think that those who write about and engage in teacher autonomy (including myself) often forget that we do relinquish control and autonomy in specific situations (the classroom, and perhaps the specific pedagogical domains in which power and ideology are most obvious) in order to, paradoxically, maintain a degree of autonomy in our lives (in a holistic personal sense). In other words we relinquish autonomy in specific domains because we might want to devote our efforts towards autonomy elsewhere as these other areas are valued more, are more urgent, more important … (home, family, earning enough, coping with stress, building a house, anything really!). Threads are starting to weave themselves together (at least in my mind). That happens when one spends considerable time on blogs and discussion lists, I suppose. here might be a gem in researching the connections between autonomy and modernity; how ‘liquid modernity’ has changed autonomy, but I’ve no time to look into it. “I suspect that dogme is just one possible manifestation of teachers’ desire to develop and act autonomously”. Thanks, Alex, for that commment (and thanks again for the article that partly inspired this blog). Certainly, the desire to act autonomously motivated my own drift towards a dogme style – to be able to have control over my own teaching, which meant freeing myself of other people’s materials and syllabi, as much as was possible, at least. And then the attempt to rationalise this, and to talk about it, is perhaps what motivated the autonomous teacher development – an effect, I think, rather than a cause. An unexpected consequence of this ‘lonely impulse of delight’ that evolved into dogme was that – through the gradual emergence of a community of like-minded practitioners – it became a vehicle and stimulus for professional development on a scale way beyond its somewhat humble origins. I can remember when I first came across the notion of learner autonomy – a long time ago – and started to read everything I could get my hands on as well as starting to experiment in the classroom. I felt so excited as it seemed to articulate many of the frustrations I had felt as a teacher in the French university system. In many ways the universities I worked for cared so little for what I did in the classroom it made experimenting easy. Many, but certainly not all, of my colleagues at the time seemed to suffer from very precarious contractual conditions, had heavy workloads, and staggered through the week having little desire or opportunity to develop. I had few people around me that cared to discuss autonomy. Reading and experimenting became key for my survival as a teacher. Later, I got my first email account and came across the AUTO-L discussion list. And, realising that there was a large group of teachers who shared my concerns enabled me to not only persist with autonomy but also develop. Without a community of practice I doubt that I would have become the teacher I am today (warts and all, still). The ‘lonely impulse of delight’ and the transformation to becoming a member of a community of practice is the key to understanding my development as a teacher. A teacher I simply couldn’t imagine becoming twenty years ago …. It’s interesting that dogme and pedagogy for/of autonomy are being brought together. It seems to me they’ve been discussed so far in different ‘discourse communities’ – perhaps ‘BANA’ vs ‘TESEP’ to some extent, in Holliday’s terms:* . As Alex implies there’s been a lot of discussion of constraints on learner autonomy, or on teachers developing learner autonomy within the ‘autonomy community’, centring on the notion of (needs for) teacher autonomy, but this could be seen not as an absolute but rather involving an ability to negotiate within constraints, finding ‘spaces of freedom’ or ‘spaces for maneouvre’. On the question of a hierarchy of needs with ‘dogme’ or autonomy-oriented practice at the pinnacle and being dependent on constraints not being present, I’ve come to think differently where engaging students’ autonomy is concerned – as Harry Kuchah’s experience in Cameroon shows (see the pre-publication version here of an article he and I wrote about his practice: http://www2.warwick.ac.uk/fac/soc/al/staff/teaching/smith/smith_r/kuchah__smith_forthcoming_2011_illt.pdf) or Zakia Sarwar’s in Pakistan (see interview here: http://learnerautonomy.org/zakiapart1.pdf), engaging with students’ autonomy can be seen as a particularly valid way of _addressing_ ‘difficult circumstances’. I think Scott is being humble regarding the possibility of dogme being appropriate in similarly difficult circumstances (and I think that’s good – BANA methods have too often been inappropriately exported), but maybe there _are_ dogme features which are identifiable in the practices of, for example, Harry Kuchah and Zakia Sarwar (though, as with autonomy, good teachers in different contexts – and different times in history – don’t need to have heard of ‘dogme’ for them to be doing dogme-like things, perhaps). Thanks for the comment, Richard. I can’t do it justice at the moment (and I need to investigate those links) but your mention of the “ability to negotiate within constraints, finding ‘spaces of freedom’ or ‘spaces for maneouvre’” chimes very much with the notion of ‘dogme moments’ – classroom episodes when the book is shelved temporarily, and the learners are allowed to take control of the lesson. Everybody I’ve ever talked to about teaching has had them … but they sometimes confess to feelings of guilt. At the same time, retrospecting on those moments is a good way to start a discussion or workshop about dogme – and about autonomy, too, I guess! On the subject of autonomy – and self-directed (or self-regulated) learning, I just posted the following (slightly adapted) on the Dogme list. I wonder if Jacotot’s name figures in the autonomy literature? 1. all men [sic] have equal intelligence; 2. every man has received from God the faculty of being able to instruct himself; 3. everything is in everything. “Regarding the first principle, he maintained that it is only in the will to use their intelligence that men differ. His own process, depending on the third principle, was to give a student learning a language for the first time a short passage of a few lines, and to encourage the pupil to study first the words, then the letters, then the grammar, then the meaning, until a single paragraph became the occasion for learning an entire literature”. “Rancière challenges his readers to consider equality as a starting point rather than a destination. In doing so, he asks educators to abandon the cultural deficiency and salvation themes so pervasive in educational rhetoric today. Rather than requiring informed schoolmasters [sic] to guide students towards prescribed and alienating ends, Rancière argues that educators can channel the equal intelligence in all to facilitate their intellectual growth in virtually unlimited directions. The schoolmaster need not know anything (i.e., s/he may be ignorant). With the premise that all are of equal intelligence, and everything can be found in everything, Ranciere claims that the poor and disenfranchised should feel perfectly able to teach themselves whatever it is they want to know. He believes that anyone can lead and that the oppressed should not feel bound to experts or reliant on others for their intellectual emancipation”. Good quote. Teachers ought to regularly remind themselves that the only thing that separates them from their students is that they are currently at different stages of knowledge – nothing else, nothing more. Unfortunately, too many educators pique themselves on being somehow superior to their learners – a quality which I dislike immensely. Here’s something I wrote a few years ago relating Jacotot to autonomy = there are a few more good quotes from / about him there I think.